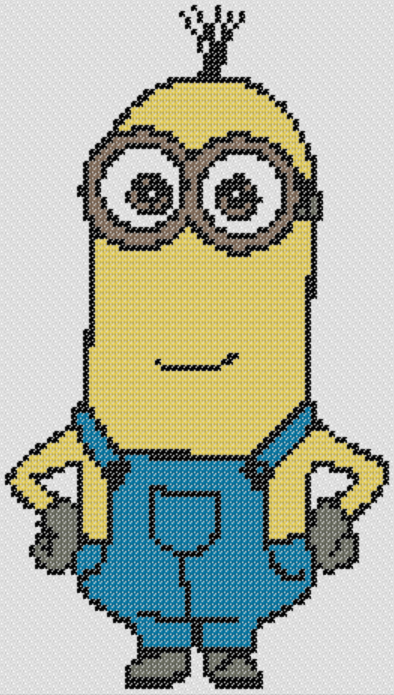 Download our Kevin (Minions) cartoon cross stitch zipped file (approx. 423kb — downloaded 242 times) The password for this download is “crossstitch4free” without the quotation marks. We look for ideas and thoughts about the types of cross stitch patterns that we need to introduced in this site, and they can be any kind of charts, whether abstract or real-life needlework projeects. Please feel free to use our Contact Form if you have any suggestions on how we can improve this site or our cross stich patterns collection.